Born in Italy (1976) and grew up between West Indies and East Africa, graduated in Architecture in Naples and started his research between advanced design, digital fabrication and self-construction during his Master at the Architectural Association (London-UK) in Sustainable Design and continued it while accomplishing a PhD in environmental engineering at the University of Rome. In the past few years Paolo has developed interdisciplinary projects with international firms and applied researches in the field of environmental parametric design and smart construction. 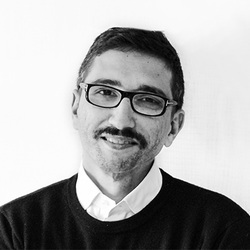 He has been teaching as associate professor at the ENSA Paris / Malaquais and at the Ecole Speciale d’Architecture of Paris where he founded COdesignLab. In year 2013 he founded the Urban FabLab (Naples-Italy) research laboratory of urban ecologies and digital fabrication. 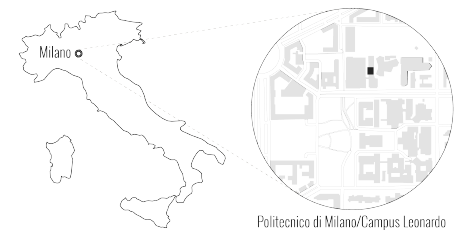 He is actually teaching at the Milan Polytechnic while is collaborating with the MIT in Boston, the Science Centre and the Department of Structural Engineering for Architecture - University of Naples. Paolo has been invited to lecture to different schools of Architecture and Engineering worldwide, among the others: SciArc / Los Angeles, IUAV / Venice, ETSAM / Madrid, ETHZ / Zurich, Rensselear Polytechnic / New York, AHO School of Architecture / Oslo, TU Berlin / Berlin, INSA / Strasbourg etc. His work is published widely on architectural and design review such as: Domus, A+U, Ottagono , Abitare, Mark, L’Arca, L’Architecture d’ Aujourd-hui etc.